Former Red Sox first baseman and World Series champion Kevin Millar is well-versed on how complicated contracts and free-agency can be in Major League Baseball. Millar played for four teams across his 12-year MLB career and was part of an unprecedented transaction between the Marlins, Red Sox and the Chunichi Dragons of Japan’s Central League. 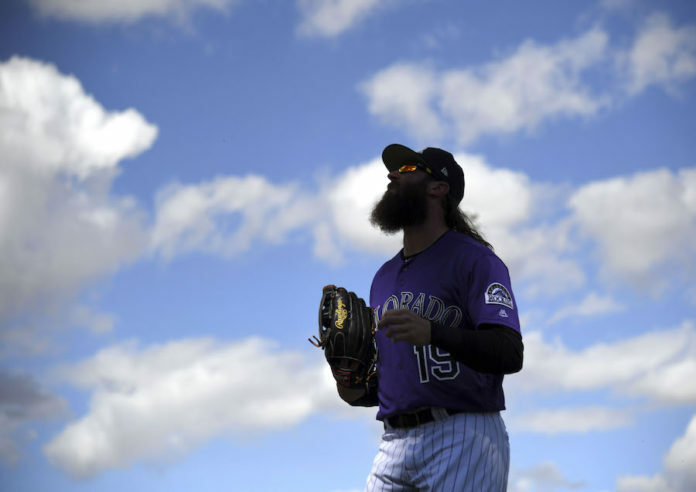 Having come up through the independent Northern League as an undrafted player, Millar provides a unique perspective when he says that Charlie Blackmon’s new six-year contract with the Colorado Rockies is a huge deal for both sides. 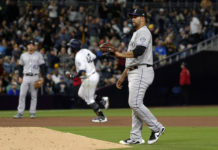 Millar joined Nate Lundy, Shawn Drotar and TJ Carpenter on Mile High Sports AM 1340 | FM 104.7 Tuesday to offer his insight and share his enthusiasm for what he calls a “huge deal,” for both sides. Like Blackmon in Colorado, Millar was a perfect personality fit in Boston, where he played from 2003 to 2005. Millar was the leader of the “Cowboy Up” movement that helped the Red Sox break their World Series drought. While the personality match is critical, Millar was careful to point out the high baseball value Blackmon carries with his $108-millon contract. “By the way, and he’s a very good baseball player. Does everything on the baseball field really well, and I think that’s a big plus,” he said. Blackmon signed his new deal just days into the 2018 season, following a year in which he was named an All-Star for the second time, won a National League batting title and set a new MLB record for RBIs out of the leadoff spot. But for all the positives of Blackmon’s new contract, it also raises the question about Colorado’s next big free-agent-to-be, Nolan Arenado, who is scheduled to hit the market following the 2019 season. 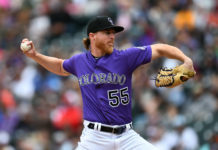 When asked about how he sees Arenado’s situation playing out, along with 2019 free agent DJ LeMahieu, Millar said the Blackmon deal was key, but retaining all three of them could be a challenge. Click here to listen to the full interview with Millar, including what he thinks the Rockies can exploit in the National League West to make a run at the division title, or listen in the podcast below. Catch Mornings at 5280 every weekday from 7a-9a on Mile High Sports AM 1340 | FM 104.7 or stream live any time for the best local coverage of Colorado sports from Denver’s biggest sports talk lineup. Download the all-new free Mile High Sports Radio mobile app forApple or Android.